Enrico Fulvi was a man of few words, but he boasted immense talent that was outdone only by his friendly nature. When anyone in Perugia wanted work performed on their timepiece, they would bring it to Enrico, he would give a cheery nod to cement the contract between client and craftsman, and if the customer had children in tow, they would receive a sweet. No dog or cat who pawed its way into his shop escaped without a playful tug about the ears. 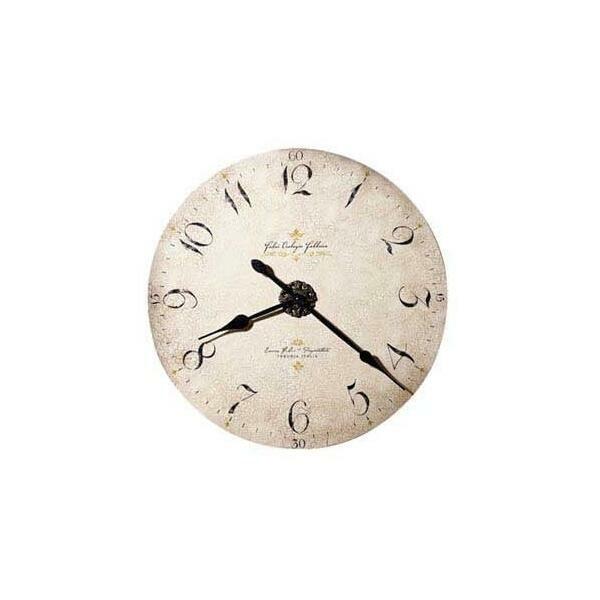 Pamper yourself with this beautiful Moment in Time clock that bows to a fading era marked by old-fashioned goodness. 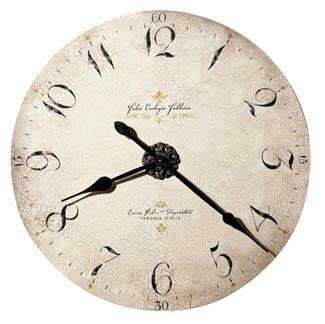 Beautifully produced with fade-resistant inks, this 32" (81 cm) antique dial is carefully mounted on a laser cut, 1/4" thick, panel base and features antique black hands and a quartz movement.